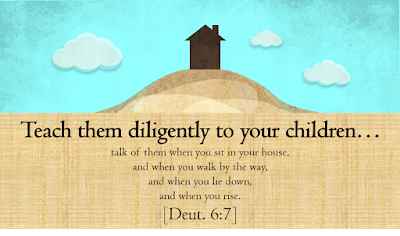 Deuteronomy 6:7 tells parents (and grandparents) that we should be diligently teaching our kids godly principles during four specific times of the day: “when you sit in your house, and when you walk by the way, and when you lie down, and when you rise.” Let’s talk about that second time: “When you walk by the way”. I doubt that you actually walk your kids to school, so let’s talk about your drive to school instead. Here are some suggestions on how to not waste your drive to school. Listen. One of the easiest things you can do is buy a few audio resources and simply listen to them while driving. For young children, I suggest Adventures in Odyssey or Patch the Pirate, and there’s many others. YouTube artists have started uploading different teaching themes too. For older kids or teens, scope out some good podcasts or a sermon series from popular speakers and then talk through what you’ve listened to. Discuss. You can be as creative as you want with this one. I like Ungame, a company that makes discussion cards for various ages and groups; check ‘em out on Amazon or just Google discussion topics for (insert your child’s age). You can also make up your own things to talk about. Ask questions that cannot be answered with “yes” or “no”. If you have elementary-aged kids, ask questions like “Complete this sentence: ‘I feel good about myself when _____’” or “If you had to pick a cartoon character as your best friend, who would it be and why?”. If you have teens, ask questions like “What’s the difference between a leader or a follower?” or “Do you think people will have a better marriage if they live together first? Why or why not?” For the deeper questions, make sure you follow up with good guidance! Pray. For your first car-ride prayer, just say a quick, 30 second prayer. Announce “Hey kids, let me pray for our day real quick” and ask God to protect everyone and give them wisdom this day. It may seem awkward at first, but you and your family will get used to you praying every morning in no time. Then make your prayers more specific and longer – pray for your kids to learn good principles at school, to be given opportunities to be like Jesus today, to choose good friends, to make good choices, to do well on their science test, and so forth. After a while, if your kids feel comfortable, you can rotate who prays. This is an awesome way to spend five minutes on the drive to school. Sing. If you have teenagers, this might be too weird. But elementary-aged kids and preschoolers LOVE to sing. I recommend Seeds Family Worship – they have several CDs available, all the lyrics are direct quotes from Scripture, and they do a great job of writing upbeat, catchy music to accompany the words. Pandora, Spotify, and YouTube Music all have children’s Christian channels you can listen to as well. For older kids who may not be down with singing out loud, you can at least put on some solid Christian tunes. Pick out some with meaning behind the words and avoid the fluffy, lovey-dovey stuff. God has granted you [10? 20? 30?] 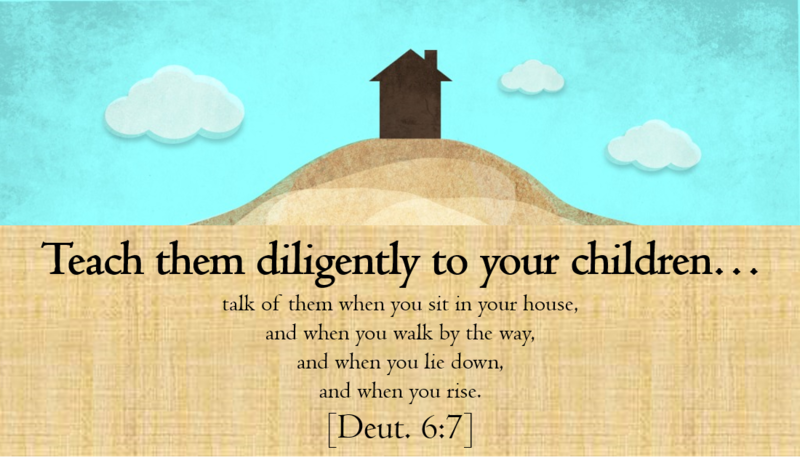 minutes of regular family time with your kids every day to teach them godly principles. And the best part is, they are buckled to their seat so they have to listen. Imagine what you can do with that time! If you have other suggestions or routines for your drive time to school, please tell us in the comments section.